Electrical connection: 400 V III +N / 230 V III 50-60 Hz. automatic water feeding and automatic pressure control (4,5 bar). 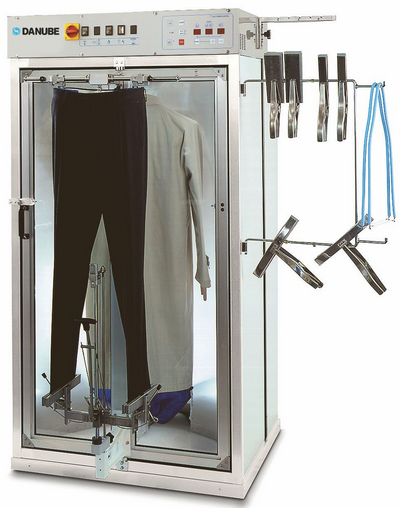 CF/CFC are supplied as standard with a trouser finishing device and a form finisher for jackets, coats, dresses, etc. Could be easily transformed and equipped with two trouser finishing devices or two form finishers. Automatic working cycle with 3 timers. Controlled by microprocessor with 9 automatic programs.